- Provides the best spring tension for reliable function with high or low velocity ammo. This innovative design makes it quick and easy to match your spring weight to your ammo of choice, greatly improving the performance of your pistol. It is so easy springs can be changed out in under 60 seconds!
? It ships assembled with our bright-finish, standard rate spring. This configuration is a direct replacement for the Ruger KA-57 recoil assembly.
? A gold, heavy weight spring, for high velocity ammo.
? A dark-coated, reduced-power spring. This spring can be used for a softer recoil with standard velocity ammo. It can also be used with most subsonic ammo, but does not enable the use of 22 short or CCI Quiet ammo. 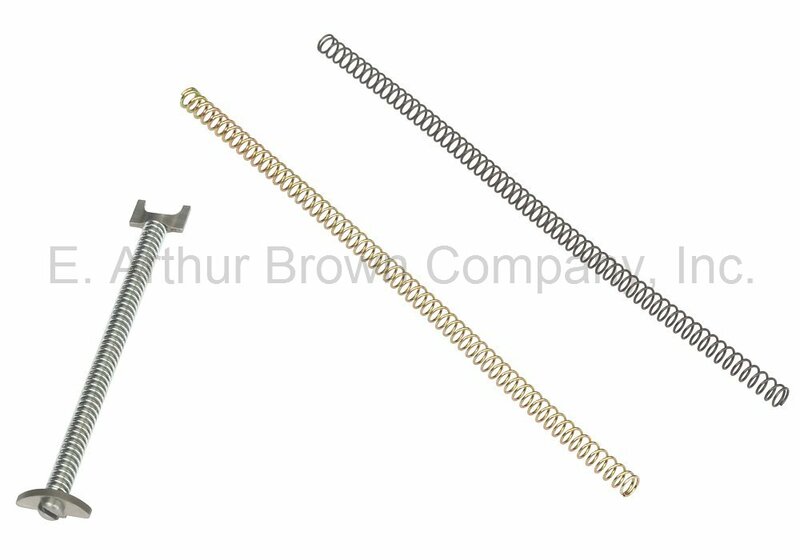 - This recoil spring assembly is designed for a variety of pistols: the Volquartsen Scorpion, Ruger MKI, MKII, MKIII, MKIV, and the Ruger 22/45. The standard rate spring is suitable for subsonic, standard and high velocity however you will see your best results using specific spring weights. This spring dropped right into the bolt and works like a charm. The original had broken due to use and age.I'm excited to purchase some high velocity ammo and test out the gold spring as well. Would recommend this purchase.